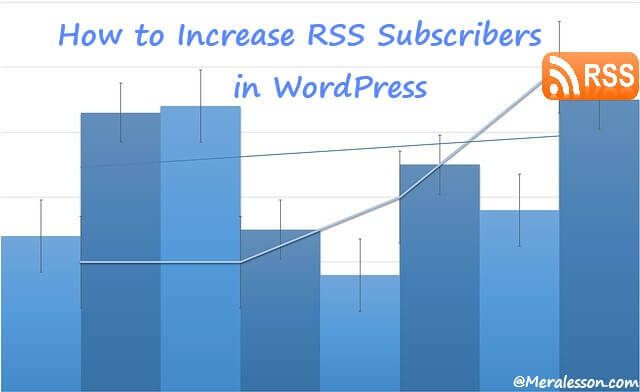 Do you want to increase your RSS readers in WordPress? A few weeks back we have shown you how you can encourage your RSS subscribers to visit your site to read full article by display related articles. In this article we will show you how you can double your RSS subscribers with our guide. RSS very popular way to deliver your posts, Videos and other contents to your RSS subscribers and this technique using by lots of websites. In this article we will use WP Kill In Feed which allows you add content for your RSS subscribers only and also allow you to hide content from your RSS feeds. So you can add extra content for your RSS subscriber so they need to subscribe you to read your content. And if you want to hide specific videos, images, and other content from your RSS feed then you can easily do that. To hide or add content to your WordPress RSS feeds the first thing that you need to do is download and install the plugin called WP Kill In Feed from your WordPress plugins tab or download manually. if you are beginner at installing plugins then read how to upload and install WordPress plugins. So once you have done and activated the plugin, then you can use the shortcodes which this plugin provides. The first is [addtofeed] which allow you to add content for your RSS subscribers only so all you need to do is wrapper your content between this [addtofeed] [/addtofeed] shortcode. And the next shortcode is [killinfeed] which allow you to hide your content from your RSS feed. So if you want to hide your post content from your RSS feed then you need to wrapper your content between this [killinfeed] [/killinfeed] shortcode same as the adding content for only RSS subscribers part. So this is how you can add or hide content from your RSS subscribers which helps you to gain more subscribers and readers. We hope you may like and learned from this tutorial if you do then like and follow us on Twitter, Facebook to get latest updates from us.